A week before I got married, I posed a challenge to myself. I decided that I would work to root out the things in life I was dependent on but didn't need: a practice I wrote about in Become Your Own Bliss. Coffee was one of those things. I was addicted. Every morning, I looked forward to my 36 oz. vegan iced latte. I loved my morning ritual. As a part of my detox, I decided to wean myself off coffee, partially to see if I could, but mostly, because I wanted to mentally prepare myself to release things I know I did not need. I've always loved tea, I just never thought about enjoying it first thing in the morning. 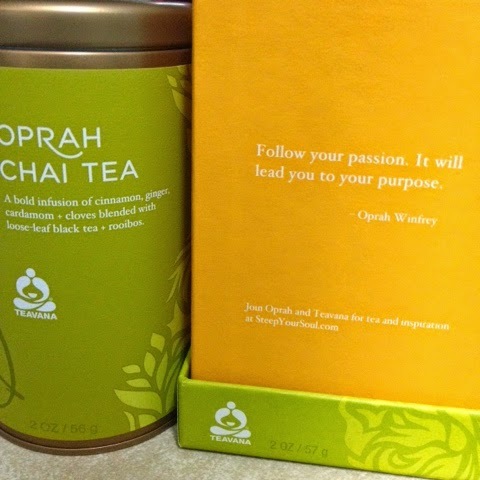 I had the most gorgeous tea blend: the Oprah Chai Tea by Teavana with a splash of organic, non-GMO, unsweetened almond milk. The first day I didn't drink coffee, I also only raw fruits and vegetables. I felt so clear-headed and energized. I didn't feel hungry, I wasn't shaky. I also didn't do any rigorous physical activities; I wanted to ease myself into my detox. My body loved it even though my mind suffered a bit. When we're taught to need certain types of food, we don't question it. We just live with the advice ingrained into our lives. Switching to tea and eating only raw fruits and veggies has been such a cleansing experience. I look forward to doing it often.